Elaine’s makes the most buttery English Toffee with the perfect crunch, without nuts! Enjoy this nut-free Butter Crunch option in a 1 lb. gift box made especially for those who do not like nuts in their toffee. 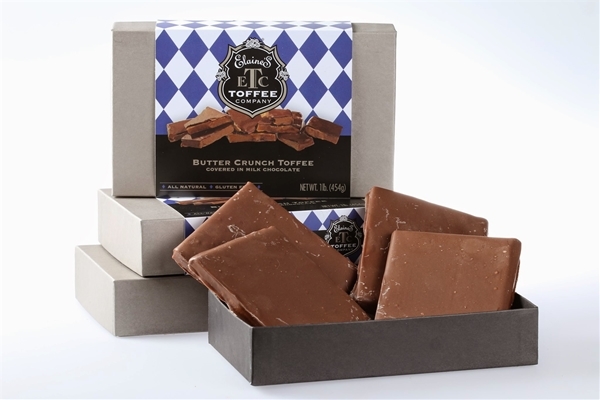 Allergy Notice: This toffee is made in a factory that processes peanuts and tree nuts. So please, this nut free toffee is for those who don’t like nuts, not for those who are allergic to them.